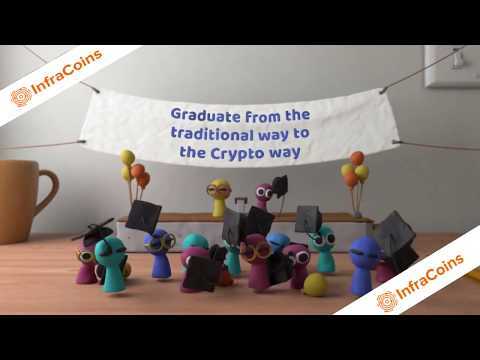 InfraCoins aims to assist in enabling these booking and listing services to reach the threshold of transition from fiat to crypto by developing a platform focused on the practical application of smart contracts and blockchain technology in hotel booking and property transactions. There appears to be a lot of obstacles in the way of deploying this project, but with the right approach and execution, it is definitely possible. This is a commercially viable project. 1. Regarding MVP, they have a template which they call as an Alpha Version. If this is their alpha of “Minimum Viable Product” I have got no words to say. 2. The domain infracoin was registered in May 2018 while the company he has been working for around 7+ years have registered its domain 1 month after that. And it only has pictures of three people, one is Jagdish itself, another is a common advisor to both Aspen as well as Infracoin. 3. And according to their initial price of $0.7, they are valuing their company at around 35Million, which for a company with these weak pillars is definitely a bad investment for investors. I like the idea of a decentralized real etate ecosystem on the Blockchain, there were succesefull ICOs in this industry (the bee token e.g.) and long-term rental field isn't taken by any existed project. In the WP should be described better that how the ecosystem will be built up, thus i decrease my Vision rate for the project. The team is ok. The vision is not the newest and considering that there is a lot of competition in this field, it could be difficult to make this work, but this project could really work if well implemented.